Our office handles a high number of cases arising out of Hermosa Beach. 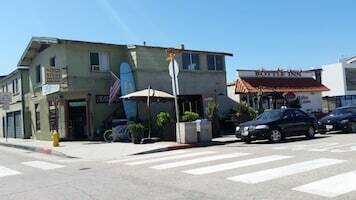 As the reader of this city profile may well know, the City of Hermosa Beach is a small beach town located just to the north and west of Redondo Beach and to the south of Manhattan Beach. It is home to massive beachfront houses along the world-famous Strand, as well as a healthy number of condominiums and apartments populated by mostly young professionals. 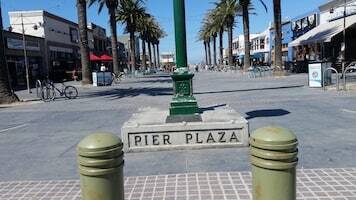 The Hermosa Beach Pier and Pier Avenue is generally accepted as the center of the town, with many small restaurants and bars that are very active on weekends. In the summer, Hermosa Beach’s beaches are filled with folks playing volleyball, surfing and sunbathing. “Hermosa” means beautiful in Spanish. The downtown Pier Plaza and surrounding area generates a high number of arrests for DUI, public urination, public intoxication, resisting arrest, shoplifting and the occasional battery (arising out of a bar fight). Felony cases arising out of Hermosa Beach are handled by the Torrance District Attorney’s Office. Misdemeanor offenses are handled by the Redondo Beach City Prosecutor’s Office, which is somewhat sad because many defense attorneys enjoyed the days when Hermosa Beach had its own City Prosecutor’s Office, headed by John Kildebeck, who was fair, sympathetic and smart. Mr. Kildebeck retired about four years ago, in 2013 or thereabouts. The Redondo Beach City Attorney, Mike Webb, is a genuinely nice and humble gentleman. His son, Cole, played back-up quarterback to Jared Goff at Cal. Under Mike Webb are the Redondo Beach City Prosecutors, who come to the Torrance Superior Court to prosecute misdemeanor matters involving Redondo Beach and Hermosa Beach. Such cases begin in Department 3 with Judge David K. Reinhert, and later move to Department 2 with Judge Rene Gilbertson, often for trial. In a case involving an alleged crime in Hermosa Beach, the Redondo Beach City Prosecutors office will serve as the trial attorney all the way to trial. Recently, the Redondo City Prosecutors office won at trial against two in pro-per defendants who were accused of unlawfully sleeping on the beach. The same office lost a jury trial of a man accused of DUI who had a blood alcohol content over 0.20%. While the Redondo Beach City Prosecutors office will hold onto the case through trial for Hermosa Beach matters, they will not always do so for cases set for trial involving matters in Redondo Beach. When a case is set for trial concerning an alleged crime in Redondo Beach, the Redondo Beach City Prosecutors office often refers the matter out to a civil attorney from a large law firm (i.e. O’Melveny & Meyers) to take the matter to trial under the Los Angeles County Trial Advocacy Program (TAP). Many defense attorneys and defendants dislike this practice because plea bargaining can seem personal and have an emotional aspect. Generally speaking, if a prosecutor adopts a tough approach and refuses to negotiate (perhaps properly so), a defendant or defense attorney can become disappointed or frustrated with a particular prosecutor, although nothing personal was intended. Consequently, trial is an opportunity to demonstrate the mistakes of the prosecutor and “get even” by winning at trial against that prosecutor. The practice of referring out the case to a TAP attorney deprives the defense attorney and the defendant of that chance for vindication and for holding the prosecutor accountable. It is akin to putting in an unknown, rookie pinch hitter at the end of a baseball game, with the score tied, in place of the franchise player who all the fans came to see play. For highly competitive people who enjoy a good, honest fight on the merits, like most criminal defense attorneys (ourselves included) do, we wish this practice would stop, as it would benefit plea negotiations earlier in the case. This practice, however, does not occur in Hermosa Beach cases, so defendants and defense attorneys do battle at trial against the Redondo Beach City Prosecutors office. This fact is appreciated by many defendants and defense attorneys.